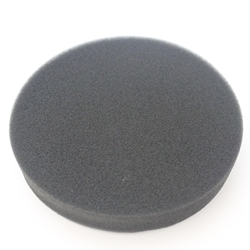 Pre Motor Foam Filter for the Powerglide Upright Vacuums - Series 1305 & 1646. The filter is washable. Wash filter with warm water and mild detergent. Be sure the filter is completely dry prior to next use. It is recommended to change your filters every 6 to 8 months depending on use and how often the filters are cleaned. Clean filters keep the suction power of your vacuum at optimal levels.